Check out Bryse at Paseo Center along Paseo de Roxas in Makati. This little clothing shop offers fashionable clothes you would mistake to be expensive but are actually affordable. 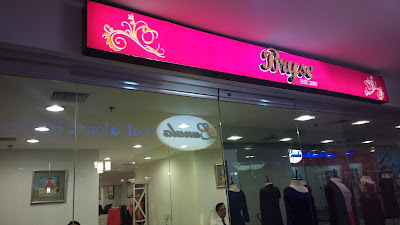 Through this shop, I got me a Php5,000 looking corporate jacket at less than Php1,000. I first discovered the shop while walking around prior to the face to face session of a digital marketing course. See this post. Other than the shop, Paseo Center itself is worth dropping by if you ever come across this section of Makati. This mall is modest in size but nonetheless provides just enough shops to cater to your needs including food, shopping, and more. Paseo Center is located at No. 8757 Paseo de Roxas corner Sedeno Street, Salcedo Village Makati City.